Our Hotel Lanson Place Winsland Residences offers spacious serviced apartments with free Wi-Fi. Only 200 metres from Somerset MRT Station and 313 Shopping Mall, it features a rooftop outdoor pool, hot tub and fitness centre.Fully furnished, all apartments have a living room with a flat-screen TV and an iPod dock. The kitchenette comes with a washing machine, clothes dryer and an espresso machine. The en suite bathroom has a shower.Our Hotel Lanson Place Winsland Residences is a 10-minute drive from Singapore's Chinatown, Little India and Central Business District. By train, it is only 1 stop from Dhoby Ghaut MRT Station, where guests can transfer trains easily to Sentosa Island or Clarke Quay. The LANSON PLACE WINSLAND RESIDENCES is a Tourist hotel. Located in City Centre area. Shopping is right next door and the nightlife/restaurants are right next to the hotel. Descriptionclass="small" style="text-align: justify; font-size:11px;">Our Hotel Lanson Place Winsland Residences offers spacious serviced apartments with free Wi-Fi. 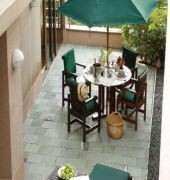 Only 200 metres from Somerset MRT Station and 313 Shopping Mall, it features a rooftop outdoor pool, hot tub and fitness centre.Fully furnished, all apartments have a living room with a flat-screen TV and an iPod dock. The kitchenette comes with a washing machine, clothes dryer and an espresso machine. The en suite bathroom has a shower.Our Hotel Lanson Place Winsland Residences is a 10-minute drive from Singapore's Chinatown, Little India and Central Business District. By train, it is only 1 stop from Dhoby Ghaut MRT Station, where guests can transfer trains easily to Sentosa Island or Clarke Quay. Stayed here on business, last minute booking. Rooms and bedding are dirty, I was bitten by bed bugs and ended in hospital. The service from the staff at reception was rude, unhelpful and dismissive. In my haste to get out I never got a receipt and hotel refuses to provide one. It has been an absolutely awful and stressful experience, which has cost me in medical expenses as well as unable to claim the business accommodation expense. Strongly recommend against staying here. We regret to hear about your experience with us and have tried to reach you in writing. Based on our records, you have stayed with us for 3 nights in February. We did receive your email inquiring for an invoice and have directed you to Booking.com earlier. We regret to only find out from Booking.com last week that they do not provide their customers with invoices like the other Online booking agents. We have assisted you with a copy of your invoice last Thursday. We noted your comments on the bed bugs and service at our reception. Our pest control vendor has inspected the room that you have stayed in and concluded that there were no activities nor tell signs of bed bugs. The other guests who have checked into this apartment subsequently, including a long-stay guest, has also not raised up any bed bugs issue since. We have also spoken to all the staff on duty on the 3 nights you were with us, we are unable to trace back any incident that has caused your experience on our staff being rude, unhelpful and dismissive. We have written an email to you to try to gain further understanding on your stay with us. As it is our utmost priority to provide our guests a comfortable stay with us, please do reach out to us in order for us to address your concern better. This is my 6th times stay at this hotel, very nice place and perfect location. Very near to MRT station and food places, convenient place to hangout at the roof top and also very near to the coffee shop. The room is neat, clean and quiet. Also the staff are very kind and helpful, the service are perfect every time I stay there. 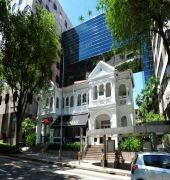 Very highly recommended place to stay when youâ€™re visiting Singapore. Thank you for making Winsland Serviced Suites by Lanson Place your preferred choice of accommodation and your recommendation on us on TripAdvisor. We are delighted and motivated to hear your compliments on our product and service. We look forward to hosting you on your 7th stay and more to come. The room was very comfortable, cleanliness was excellent. The facilities of the hotel were excellent. The breakfast was great. The staff were friendly & very helpful. The location was amazing. I can't fault it and would highly recommend. Thank you for your recommendation on Winsland Serviced Suites by Lanson Place. We are delighted to hear that you are impressed with our rooms and services. We look forward to hosting you and your family again. We had an amazing experience at Winsland Service suites by Lanson place. The apartment was immaculately clean and well equipped. we have also found the stuffs are absolutely friendly and always accessible during our stay. Special thanks to Sunny and the lady at reception ( unfortunately forgot her name ) support and assist us a lot . We are happy to hear that you had an amazing time with us. Thank you for your recommendations on us and we look forward to hosting you again soon. 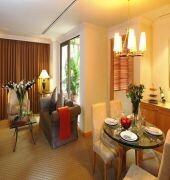 The suites are directly located to all main Orchard shopping malls and MRT Somerset station is close (2 walking minutes). What I do enjoy is the great rooftop pool with whirlpool and the inhouse gym, which is not big, but sufficient. What is outstanding is the helpful advices and and friendliness of the concierge staff â€“ had a really good time with them. Little minus is that some rooms face the inner yard and are a bit dark, but overall very modern and comfortable. All together a great place to stay. Thank you for your recommendations on us. We are happy to note that you have been enjoying your stay with us. Your compliments on our service is motivating. We look forward to hosting you for a much longer term.